Revlon picks new brand ambassadors, and you know them! Slay baby! Royalty Brown launches her own beauty collection. December 13, 2017 Entertainment SA 0 CommentsSlay baby! Royalty Brown launches her own beauty collection. Boity Thulo serves us some serious curve goals in this pink dress! December 7, 2017 Entertainment SA 0 CommentsBoity Thulo serves us some serious curve goals in this pink dress! 44-year-old Pharrell shares secret of aging gracefully! September 12, 2017 Entertainment SA 0 Comments44-year-old Pharrell shares secret of aging gracefully! Here are some of the local celebrities who rock hair colors without even trying! Look: Ayanda Ncwane’s new look, you like? Nadia Nakai’s newest hair switch up, you like? 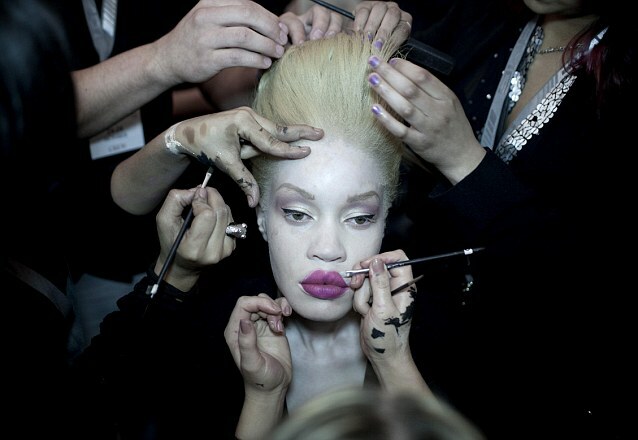 Makeup for women with albinism. Tips on how to maintain your natural hair.